Credit: Image courtesy of Tesla. Since Tesla confirmed last month that it plans to build a massive battery factory in the U.S., there’s been exuberant speculation that the electric car maker will disrupt not just the auto industry, but also the global market for power grid energy storage (the key to solar and wind). But, as is usually the case, the real story is far more nuanced and complex. It’s true that Tesla plans to sell some batteries for stationary grid applications, and it’s been working on a product with solar company SolarCity for awhile (I first reported this in the spring of 2012). The grid storage market is in its infancy. And Tesla’s battery plans could have a meaningful impact on the market for pairing batteries with solar panels — particularly given the sheer size of Tesla’s factory and the fact that it is supposed to lower battery costs by 30 percent. But the grid energy storage market is nuanced. All batteries and technologies are not created equal when it comes to batteries being used for the power grid, and there will be different types of batteries for different power grid applications. Lithium ion batteries are some of the most expensive out there. And remember, the cost estimates that Tesla wants to hit three years from now are just that — estimates. Here are a few things you should know about what Tesla’s massive battery can and can’t do for the power grid market. 1. The market for grid energy storage is just emerging & Tesla is helping open it up: To date, energy storage technology in all its various forms — from batteries to compressed air storage to funkier, more experimental forms of energy storage — is an emerging market throughout the world. There are still just a few hundred energy storage projects built anywhere — 420 as of the end of 2013, according to the Department of Energy’s Global Energy Storage Database. Most of those energy storage projects are pumped hydro plants built years ago (basically using energy to push water up a hill and then let it flow back down when energy is needed). A couple years ago, researchers at EPRI said that pumped hydro made up 99 percent of the energy storage projects out there. The tech is pretty much the cheapest around, but it can only be built in places with certain changing elevation (hills and valleys). Another large portion of these projects are sodium sulfur batteries (NAS), an older technology that has been popular in Japan, but that recently faced safety and cost issues. Another set still is traditional compressed air energy storage, where air is pressurized and pumped into a tank or underground cavern and then let out when energy is needed. Finally, a newer chunk of these energy storage projects are demonstration and pilot projects that are being built out to prove new technology at a very small scale — so yes, a bunch of these projects are not commercial scale yet and are only emerging technology. Just a small segment of these current projects are built with lithium ion batteries — that’s because they’ve just been far, far too expensive historically. 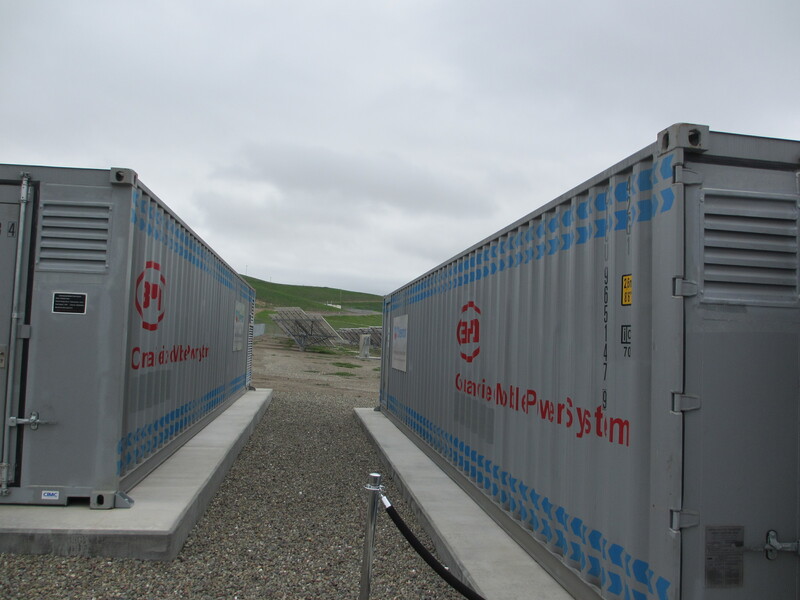 According to Navigant Research, there were just around 34 megawatt hours worth of lithium ion battery projects built for grid storage by the end of 2012. That’s tiny. For comparison’s sake, there were 23 gigawatt hours worth of lithium ion batteries made for consumer electronics over the same period (1 gigawatt is a 1,000 megawatts). I point out that this market is so nascent because the sheer fact that Tesla has said it is interested in it will affect the market. Any ambitious company moving into grid storage with an attractive and competitive technology will influence it — particularly a company that is as innovative as Tesla has been and that is led by a celebrity billionaire entrepreneur like Elon Musk. There are giant lithium ion battery makers out there today — from Samsung to Panasonic to Sanyo (potentially some of Tesla’s partners) — that are making these batteries at a massive, low cost scale. Those companies could be aggressively packaging up lithium ion batteries and selling them for the power grid. These companies do sell batteries for the grid, but are not doing so at any large scale yet. So, in effect, Tesla’s focus on grid storage could be very important in opening up the grid battery storage market. It could shine a spotlight on this market in an unprecedented way. 2. Tesla is setting a price ceiling for grid batteries: Lithium ion batteries have long been considered one of the more expensive options out there for grid energy storage. But Tesla could make them a more competitive option for grid storage, and is setting a price ceiling for grid batteries. Tesla has said that its current costs for lithium ion batteries (the ones it buys from Panasonic) are somewhere between $200 and $300 per kwh, and that its factory could reduce those battery costs by 30 percent. So in theory Tesla could hit between $140 per kwh and $210 per kwh. Navigant Research analyst Sam Jaffe thinks battery packs could end up costing around $180 per kwh. 3). There could be different batteries for different grid applications: Applications? Yep, power companies will buy batteries for the power grid because they want to do certain things with them. One of those things is frequency regulation, which means using batteries to provide short bursts of energy over several minutes to help smooth out the frequency of the grid. Today power companies often use generators and natural gas plants to smooth out that frequency. Then there’s the application that is being mentioned in most articles on Tesla and the grid, and that’s pairing batteries with clean power, like wind and solar farms. Because the sun only shines and the wind only blows at certain times, the idea is that batteries could store energy and then unleash it when the sun and wind die down. Lithium ion batteries are pretty good at moving a vehicle, using high power and providing short, shallow bursts of energy. That would make them a good fit for frequency regulation. But clean power applications generally need several hours’ worth of sustained, lower-power energy. 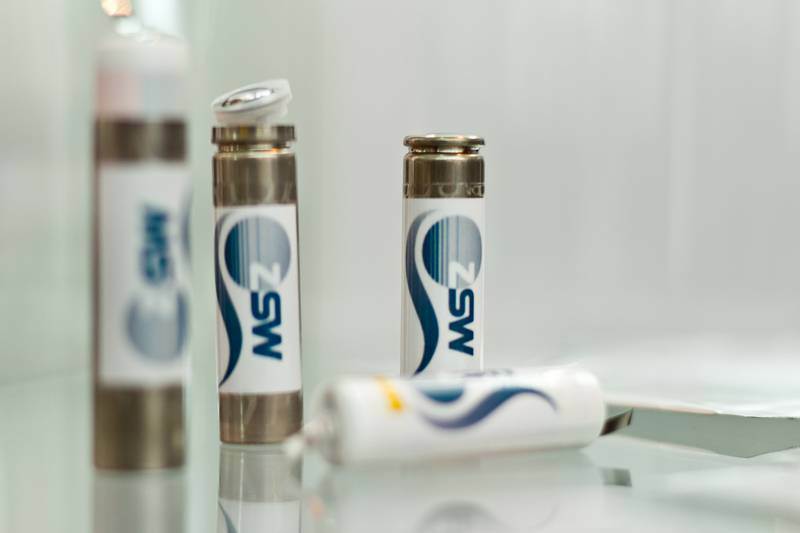 So other battery chemistries could end up being a better fit and also provide a lower-cost option for applications like clean power time shifting. Lithium ion batteries also degrade significantly over time — the Model S battery has an 8-year warranty on it. Any grid operator will consider the lifetime of lithium ion batteries when gauging them as an option. 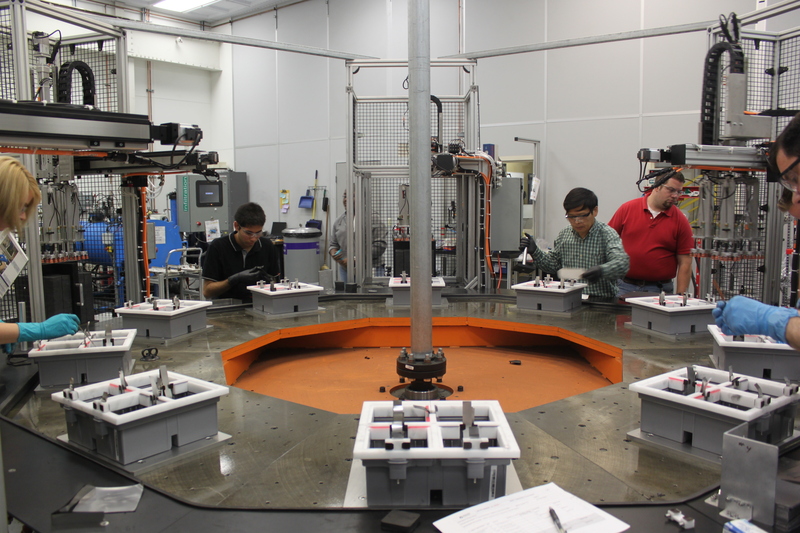 Several young companies are working on grid-specific batteries that can provide sustained low-power energy over a long period of time. Some of these companies include Aquion Energy, Ambri and Eos Energy. Philippe Bouchard, Eos Energy’s VP of business development, tells me the company’s zinc-air battery is designed specifically for multi-hour, full discharge applications, and the battery already costs 3 to 4 times less per kwh than today’s lithium ion batteries. 4. Tesla’s plans are just estimates: Tesla has shared only a few tidbits about estimated prices, scale and timelines for the factory. Many questions remain, and some people are skeptical about the low cost of the planned factory and the aggressive price reductions of the batteries. Tesla has baked some wiggle room into its battery costs when it comes to making its third-generation electric car for $35,000 to $40,000. Not all of the cost reduction will come from lower battery costs. It also plans to make a car that’s about 20 percent smaller, Musk said recently. And there are other ways to reduce the cost of the car through the materials and such options. So Tesla doesn’t necessarily have to hit those battery cost numbers to hit its overall target of a mainstream, low-cost third-gen electric car. 5. Financing and management software: Tesla will have a real advantage when it comes to the way it can work with SolarCity to not just combine SolarCity’s solar panel systems with Tesla batteries, but also use SolarCity’s financing and management software. Over the past several years, SolarCity has built its business off of developing financing tools and management software to bring down the cost of installing and maintaining rooftops solar panels. In the world of batteries, financing and software systems are relatively new services. To get batteries on the grid at scale, financing systems and management software could be key. In time lithium cost will go down as a greater supply of lithium will be brought on line from different mines through out America, and South America, which probably has the largest reserves of this material in the World. A battery reserve resource is essential for storage when intermittent power sources are used as the primary power source. 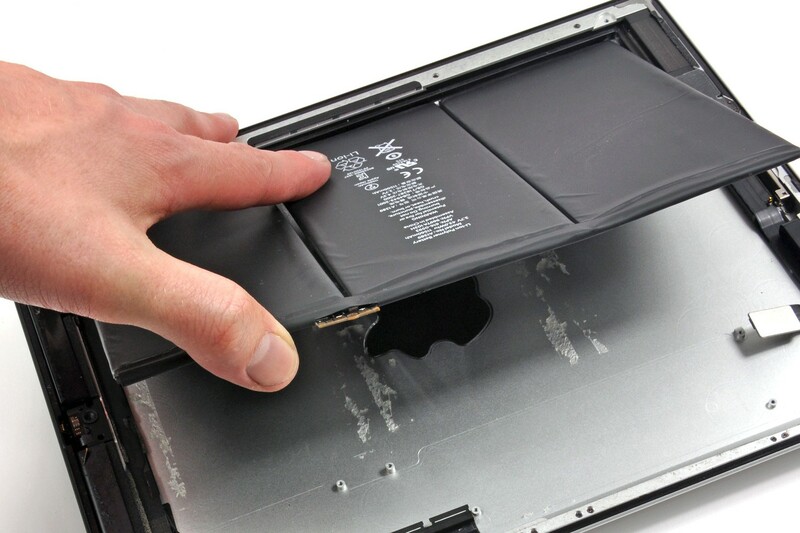 “Lithium ion batteries also degrade significantly over time â€”” big big misunderstanding. All batteries degrade over time and all batteries can last a long time. depends on how it is used. Cesar, you cannot kill technology, or a product, or a market. If somebody wants to buy it there will always be somebody to produce it. The companies you mentioned earlier have better ways to invest their money than in “killing electric cars”: They invest in manufacturing electric cars. And if these electric cars succeed, good for these companies, and if not, just as good. So what’s the point of killing new technology when with the same money you can invest in it and eventually make profit. Well, Rolik, I invite you to watch the documentary “Who killed the electric car?”, and you may find the answer to your question. Every car manufacturer and oil company hates the Tesla car and will do whatever it takes to destroy its market…will publish false videos and reports, and will use their very intelligent people to write very technical documents to “apparently prove” that the car is not good anymore….that’s the type of competitors we have in this world, they simply know that if Tesla succeeds, then the oil & gas industry will go down, and the other car manufacturers will have to invest billions to be able to compete with Tesla. SO, DON’T believe in those FIRE videos and bad comments. Go green, go safe, heal the environment, but Tesla. Cesar: It is the business of car manufacturers to sell cars regardless of the technology that’s in there (and this changes over time), so why should they be interested in destroying Tesla’s market which at the end of the day is their own market? And whey should oil companies want to destroy the EV market when there is so much more that you can do with crude oil than just refine it into combustible? And by the way, it is not even possible to destroy a market once it is created as long as the product is valid and has a sufficient customer base. You can’t cost 3-4 less than something. I’m finding that construct in a lot of places. Does he mean 1/3 to 1/4 as much? And if so, what kind of $ per kw/hour do we mean here? The trillion-dollar question for grid storage is really going to be about hugely deployable technology that can store megawatts. What Tesla is doing is likely important for residential solar in a net-metering intolerant world, i.e. the dumb states. And it’s likely going to benefit some small business customers and, actually, smarter utilities by smoothing grid demand there. But LiIon is not going to be the big grid battery stuff and Tesla is going to try to drive it there. It will take 200 Gigafactories to supply the world’s auto industry at today’s battery density. Let’s assume enough progress on chemistry and the continued presence of city cars and plug-in hybrids such that that the number is reduced to 50ish over time. That’s still $250 billion in battery factories just for autos. Grid storage may well leverage all those batteries. But it will also have to come from elsewhere. Thanks for helping us understand where. I am tired of hearing the same comments on Tesla fires over and over again. According to current estimates from NHTSA, “Fatalities per 100 Million Vehicle Miles Traveled” is currently at 1.10 (http://www-fars.nhtsa.dot.gov/Main/index.aspx). So basically 1.1 deaths per 100 million vehicle Miles traveled. This data is based on internal combustion engine vehicles. Model S recently finished 200 Million Vehicle Miles and there have been zero deaths. For example, the Model S that caught fire in Mexico was due to a significant accident where the car was traveling at such a high speed that it smashed through a concrete wall and then hit a large tree, yet the driver walked away from the car with no permanent injury. For battery performance optimization, Tesla should work together with Lenovo. Katie and Jim: Both very interesting articles and I agree with most of the contents but two different topics which should appear in two different discussion forums. So maybe you guys just scrap what’s here and take it from the top – separately, for everybody’s ease to comment. Jim is just a Troll. Jim is probably is employed by an oil or gas company to troll any post made about Tesla’s. The oil and gas companies are way bigger than most people can imagine, and have a great interest in trying to make new technologies fail, due to their fear that they could replace the need for oil and gas. Nothing they would rather see happen than to have all electric cars go away, and everyone start driving 5MPG gas guzzlers! Can you say something intelligent instead of repeating this “somebody-is-attacking-my-poor-tesla-darling” nonsense that you find all over the web? It is a mistake to think that it is possible to release a car design and not have field failures. Compare the Tesla fires to the ignition switch fiasco Ford had about 15 years ago, 559 fires in a total field of 16 million vehicles. That is a lower percentage of vehicles than these three fires that Jim goes on about, however, the Ford fires happened while the vehicles were parked. In peoples homes, in their garages. The Tesla fires were results of accidents. In a model only a year old. I say Tesla has designed and fielded a strong car. Too bad all I can remember now is Tesla Fire, Fire Tesla, fire fire Tesla, FIRE!!!! Holy long comment is right. Such a long comment by Jim, kind of well written and apparently well researched, and then posted anonymously? Also, the exact same comment can already be found posted on numerous forums. Not sure I’d agree with you about well written and well researched. Three on-road fires in the span of about 6 weeks… One of those the crazy Mexico crash where >no one was hurt<! And how many fires on the road since? Oh, right, none. Not one. Zero. Zip. Zilch. I wrote a piece about Tesla and crisis management right after the third fire. And honestly, they managed the crisis reasonably well. I still might have considered a more aggressive approach than they did, e.g. a promise to look at the shield and contemplate an even more protective design. But, I'm sorry, the cars are safe. Safer than anything else on the road. Data is data. There is an ethics crisis at Tesla Motors that is making its cars unsafe. I think it was poor Tesla Motors designs, to locate a large lithium automotive battery so close to the roadway with such light protection. Customers of Chevy Volts, Nissan Leafs, and Toyotas Rav4EV allegedly haven’t had any fires from road debris or vehicle accidents; yet Tesla Motors has recently had three. I think Tesla poorly designed some of its charge connections. Some of the charge connections seem to be not to be robust enough for the amount of current duration. Also the configuration of adapters puts an undue amount of stress on the wall outlets and connectors which can lead to outlet failures, connector failures and fires. Also the design configuration puts a lot of connections close together which allows the concentration of heat and increases the probability of fire. In my opinion they are poor engineering designs that are fire hazards. What about the Tesla related garage fire in Toronto? What caused the Tesla related garage fire in Toronto? The public should know what the fire department investigation found. I would prefer an independent non-bias investigation. I’m hoping to hear reports from the fire departments investigation, because I don’t trust Tesla’s “fire investigations”, which seem more like coverups. Allegedly the fire department said the source of the fire was the Tesla. 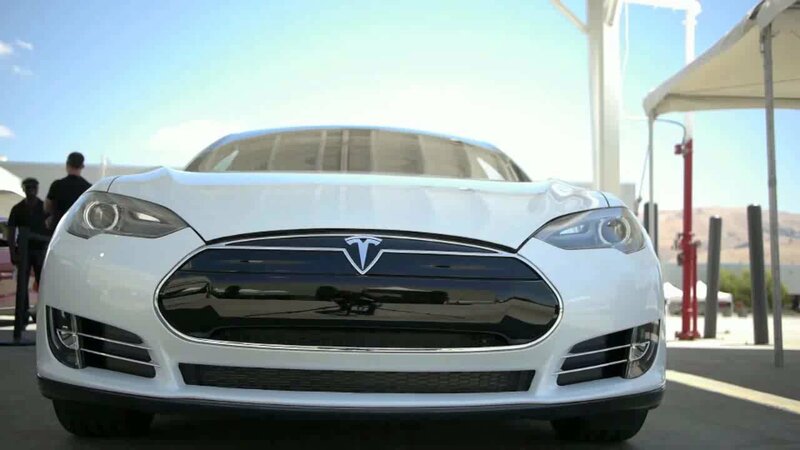 Why is Tesla Motors dragging its feet on the Tesla charger related fire hazard recall? When is Tesla motors going to comply with the recall? It wasn’t until people reported the charger problems to the media and government that Tesla declared a recall. Tesla is reactive instead of proactive. Tesla charging systems have been known to be hazardous for about a year, perhaps more, yet the safety hazards have not been fixed. 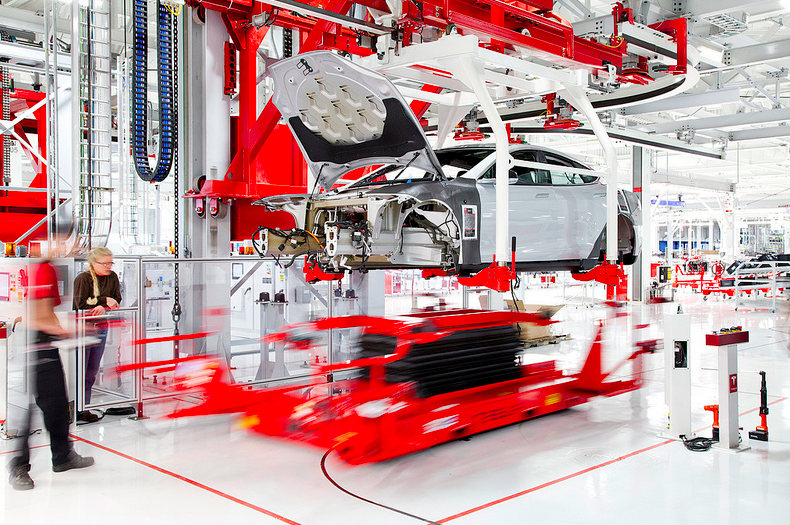 Tesla manufactures more excuses & hype, then cars. Tesla Motors still has not delivered on the fire hazard recall. Tesla has been dragging its feet on safety and the recall. There has been at least five significant Tesla related fires. The most recent Tesla garage fire to hit the news was in Toronto. The car supposedly wasn’t even plugged in, so the charging system isn’t likely to be a source in that fire. There should be disclosure on this fire. The public should know where and how this fire started. Was the origin of the fire the Tesla? How did the fire start? Was it a Tesla design or manufacturing fault? There has been at least five Tesla fires. Two Teslas caught on fire after only running over road debris. One Tesla caught on fire and EXPLODED after being in an accident in Mexico. There was a Tesla fire in a California garage, that the Tesla charger connection was ruled as a possible source of the fire by the fire department. Recently there was a Tesla garage fire in Toronto, that so far I haven’t heard the fire department give a ruling. Arguably there has been scores, possibly hundreds of minor Tesla fires. There has been a plethora of Tesla charge connectors that have overheated, melted and burned. Though many Tesla shills will argue that they are not fire. Categorically and scientifically they are often classified as fire. Rapid oxidation or rapid decomposition from excessive heat is often classified as fire. Like the metaphor; where there is smoke, there is fire. A few months ago there was a Tesla related garage fire in California that the fire department ruled that the Tesla Motors charging system was a possible source of the fire. A firefighter was injured responding to the fire. The suspect portion of the Tesla charging system that the fire department in California determined was a possible source of the California garage fire, is also suspected in many other Tesla charger reported cases that Tesla charge connections have overheated, melted and burned. Tesla issued a software “fix”, however Tesla charge connectors have continued to overheat, melt and burn despite the so-called “fix”. Some customers allege that the charger related software update that is supposed to reduce current when a fault is detected, in some cases actually increases the current. The so-called “fix” has introduced other problems, one of the alleged problems is a safety hazard. One customer claimed that they experienced a glitch that increases current when a fault is detected before the charger related software update. Either way the alleged condition supposedly can dangerously increase the current above user settings. The Tesla model S. still has defects that make it a fire hazard. Tesla Motors charger connections are still overheating, melting and burning. Tesla Motors batteries are poorly located and poorly protected. On 01/09/2014 Elon Musk said that replacement adapters that are part of the recall would be mailed out within two weeks. A month later Tesla customers still have not received the replacement adapters that are part of the Tesla model S. recall. Several people have been injured by faulty Tesla charge connectors. Tesla is big on making promises and hype, but short on delivery. Tesla needs to start making safety a top priority. Tesla needs to stop playing blame games and games with semantics. Tesla needs to stop lying. Tesla needs to be proactive instead of reactive. Tesla is being a follower of technology, rather than a leader. Tesla is a greedy corporation that has a disregard for safety. The Tesla model S. charger recall is for the vast majority of Tesla model Ss. There is nearly 30,000 Teslas that are part of the recall, that have a potential fire hazard. So far it seems not any customers have been mailed warnings about these fire hazards. Allegedly some customers are only finding out about the recall fire hazards after having failures and then searching the Internet. The media should do a better job. The vast majority of news coverage on Tesla has been creampuff articles that seem more like advertising then news articles. The media should not give favorable treatment to greedy corporations that skimp on safety. The media should scrutinize Tesla more, instead of shilling for them and treating them with kid gloves. The news media has done a horrible job covering the Tesla fires and fire hazards. The news media makes it sound like there isn’t any Tesla fire hazards. The news media makes it sound like there isn’t any problems with Tesla chargers. The news media makes it sound like all of the Tesla charger problems is the fault of wall outlets and house wiring. The news media makes it sound like, Tesla owners have already received replacement adapters under the recall. The news media should do investigative reporting, instead of shilling for greedy corporations. The news media shouldn’t tell lies to inflate stock prices. The media shouldn’t be in bed with Tesla. The news media shouldn’t be veiled advertising. The news media should be part of the solution, instead of part of the problem. The news media should not be sweeping safety hazards under the carpet. Tesla burns and explodes in Mexico, after a crash. Is faulty Tesla Motors designs going to have to cause deaths before Tesla Motors, Tesla fan boys, and the news media start taking safety seriously? Even then I suspect some of them will try to play blame games. If Tesla was proactive and a leader of technology, their products would have been better designed. The Tesla charge connections have been known to be a fire hazard for about a year. That should have been time for Tesla Motors to recognize the problems and come up with engineering solutions. Instead Tesla has been playing blame games, games of semantics and making token efforts. Tesla Motors and Tesla fan boys should not be censoring, harassing, threatening, slandering and bullying safety advocates, customers with unsafe defective products, critics, and skeptics. Tesla has a culture that has a disregard for safety. Allegedly nearly 3% (nearly 900) Tesla charger adapters have been returned and or reported defective. If you’re willing to settle for a Tesla, that’s your choice. My standards are much higher. Is a Tesla in an attached garage going to have to catch fire and burn down a house and result in a death of a family before people wake up and smell the coffee? In an article about different possible battery technologies, the discussion of a hypothetical crisis of burning cars seems a bit off topic, doesn’t it? So Jim, which Tesla competitor employs you? 5 Tesla fires? Ford required 13 fires before issuing a recall. Y u no 16 page post about that? 5 car fires and a 3% problem with chargers, and you have them pegs are an evil empire? If the chargers really were defective, you would think they would have had more than 3%. BTW – Please name one car manufacture who never had to do a recall? Or maybe just name one that did a recall after 5 incidents, The fact is that statistically, gas car have fire 8 more times than Tesla’s. To be fair, most gas cars are much older than the newer Tesla, yet when you compare Tesla versus only new cars, the new figure is still 4 times the number of fire in gas car than in the Tesla. In other words, if Tesla’s are a fire hazard, then gas cars are 4 times as much so, so you point is moot. Now if we just want to look at safety, the Tesla will win hands down, according to Consumer Reports, over any care on the road today.